ERWEKA has launched two new products to their portfolio of high quality, reliable laboratory equipment at ACHEMA 2018, taking place in Frankfurt this week. The ERWEKA ZT 121 Lite disintegration tester is the new, entry level disintegration tester that’s fully USP/EP/JP compliant. The unit consists of a single test station and is remarkably compact, saving precious bench space. The ZT 121 has a built-in heater, and is easily controlled using a simple keypad on the front of the machine. 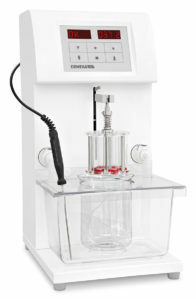 Find out more about this new disintegration tester here. The new ERWEKA DT 1212 Lite is the latest addition to the DT Lite family, offering an easy to use, 12 station dissolution tester at a fantastic price. Much like the other DT Lite machines, the new 1212 offers simple use, bench saving space and high build quality for a standard testing at an affordable cost. 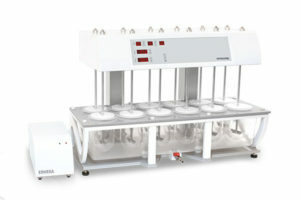 Find out more about the new dissolution tester here. ERWEKA never compromises on quality, and with the new Lite series, every lab can afford to have the reliability and durability of their world-class equipment without exceeding budgets.